Second post of the day because I need to catch up what. As an English major, I hold classic books in a dear, special place of my heart. I mean, I voluntarily read the Odyssey when I was thirteen because I felt it would round out my Greek mythology knowledge and also because I wanted to. (If that doesn’t make me a nerd, I really don’t know what does.) In preparing for this post, I deliberated a long time on which classic to call my *favorite* (you readers should know by now that I can’t pick favorites). But, in the end, I do dearly, dearly love this book. With a heroine full of yearning, the dangerous secrets she encounters, and the choices she finally makes, Charlotte Bronte’s innovative and enduring romantic novel continues to engage and provoke readers. JANE EYRE IS SO GOOD GUYS. This book is just such a pinnacle of its time. It’s gothic and revolutionary, but it’s also sweet and inspiring. It feels like a reflection of my soul, but it also reassures me that I can be better, if I try. Jane is my actual hero. (I’ve written an entire essay comparing myself to her.) I relate a lot to her quiet tendencies, but I also admire her so much for her passion and conviction in her beliefs. She makes me think that I can defend myself even though I, too, am rather “poor, obscure, plain, and little.” Really, Jane is quite the kick-a** character for the Victorian era, and I love her for that. The entire novel is just so wonderful (as it would be, since it resulted out of Charlotte Bronte’s stubborn desire to write a novel with a heroine who was neither beautiful nor well-off) and has had such an impact on me as a writer. I had the lucky opportunity to visit the Bronte Parsonage in Haworth, England, and it basically is just the sort of place you’d imagine a novel like Jane Eyre would come from. Visiting there was one of the best days of my life. I am not an angel … and I will not be one till I die: I will be myself. I have a strange feeling with regard to you. As if I had a string somewhere under my left ribs, tightly knotted to a similar string in you. And if you were to leave I’m afraid that cord of communion would snap. And I have a notion that I’d take to bleeding inwardly. 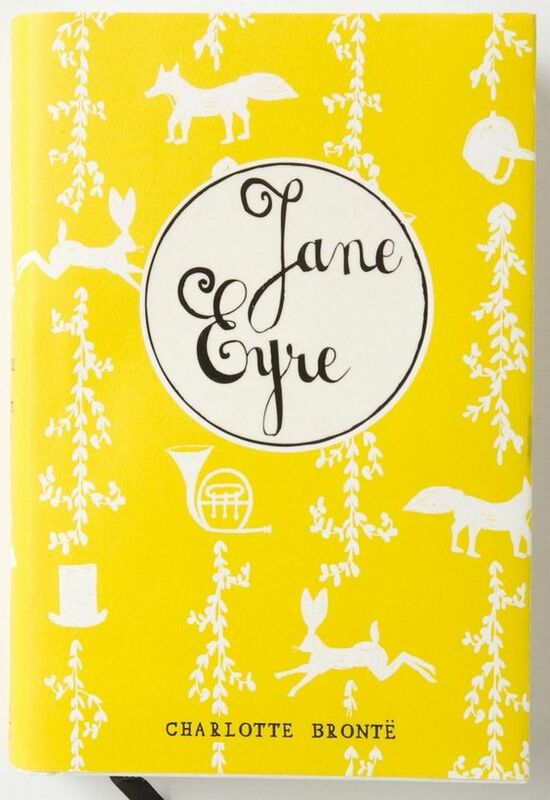 If you have never before read Jane Eyre, I highly entreat you to do so. It’s such a precious, delightful novel that transcends all time. I love it so very much.